A bit of welcome news for travelers – the Transportation Security Administration is expanding the PreCheck expedited screening program to international airlines, the Associated Press reported. Passengers who pass an extensive background check and who are approved by the TSA are allowed to skip traditional security lines at airports and proceed directly to PreCheck lines, where they do not have to remove their shoes or belts, do not have to remove their laptop computers from their carry cases, and can bring liquids in their carry-on baggage. The program was instituted in 2011 and so far has only been for passengers traveling on domestic airlines. This morning, Air Canada became the first international carrier to participate. Other international carriers are expected to join shortly, but Air Canada was a natural – with 49 destinations in the U.S., Air Canada is the international airline that most travels to the United States. TSA officials told the AP that international airliens will first need to update their computer systems to embed extra information in their boarding pass barcodes, as well as printing a PreCheck logo. 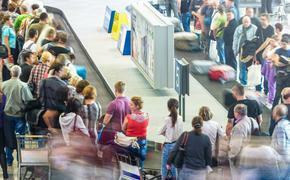 Security agents can process twice as many passengers in PreCheck lanes in the same time as in a normal lane. There are PreCheck lanes at 118 of the roughly 450 U.S. commercial airports. 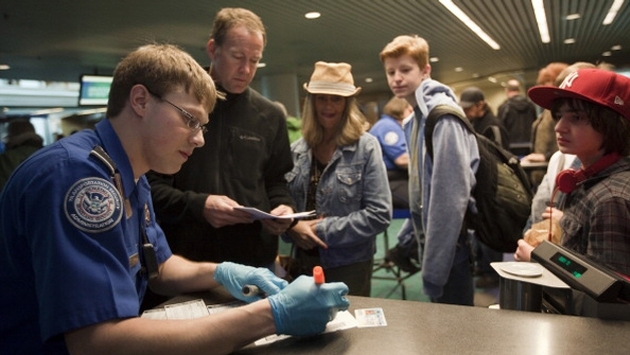 About 5 million of the 14 million passengers who fly each week receive expedited screening. The AP noted that the TSA has been aggressively trying to get more people enrolled in the program. It can't justify having dedicated lanes at 118 airports unless there are enough people to actually use them. That's why the TSA has been pulling people out of the normal security lines into PreCheck lanes. Those passengers are either randomly picked, passed by with canine teams or monitored by behavior detection officers. Nine U.S. airlines currently participate in the program: Alaska Airlines, American Airlines, Delta Air Lines, Hawaiian Airlines, JetBlue Airways, Southwest Airlines, United Airlines, US Airways, and Virgin America.